The LM16 inverter series is dedicated to the control of squirrel-cage threephase asynchronous motors and is available both with single-phase (1ph) and three-phase (3ph) power supply. It is equipped with V/f and SVL (voltage sensorless vector) motor control with advanced slip compensation functions. 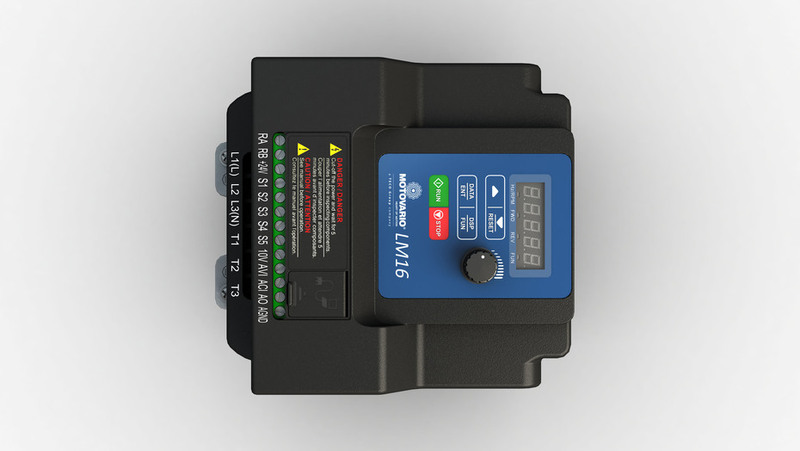 The LM16 has a compact and essential structure which makes it particularly suitable for an easy and intuitive use in low-dynamic applications and simple control architectures. 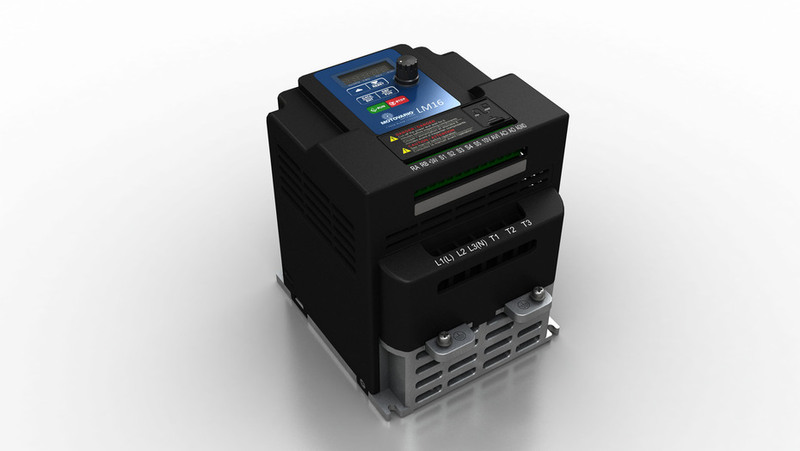 The on-board potentiometer allows for an easy speed adjustment of the motor, for a manual use of the inverter that can be obtained also through the integrated keyboard. 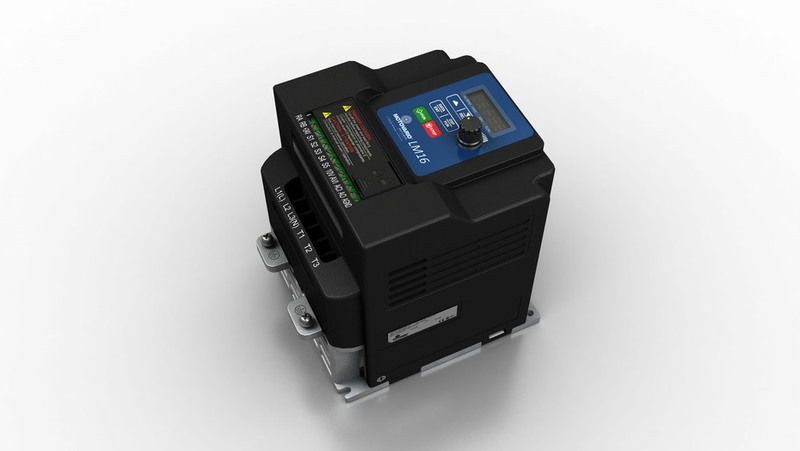 The integrated Modbus communication interface allows the network use of the inverter not only during programming but also during motor control phase. Thanks to the integrated EMC filter in all power ratings, the LM16 inverter is compliant with category C2 according to EN 61800-3: 2004 +A1: 2012. Generally speaking, a motor during its whole lifetime consumes a quantity of energy equal to a hundred times its purchase cost. a speed reduction of 20% will save approx. 50% of energy. the process control and the slip compensation will save approx. 70% of energy.